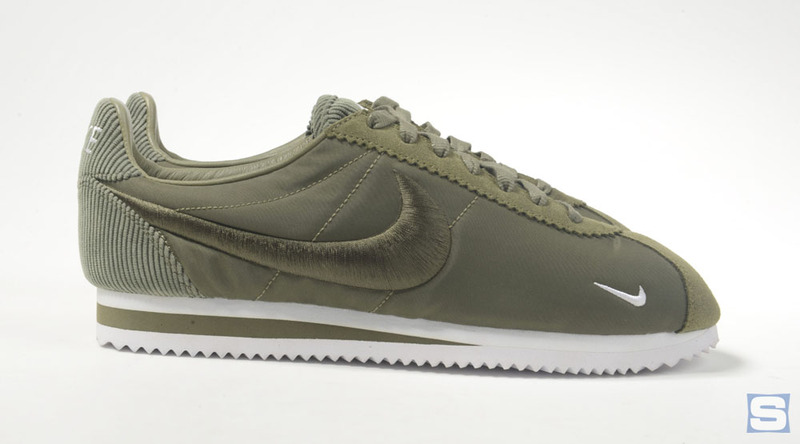 There are very few sneakers that can boast the longevity of the Nike Cortez. The silhouette, which actually predates Nike itself, has hung around in retro mode for years, having long since become a staple for lifestyle wear. 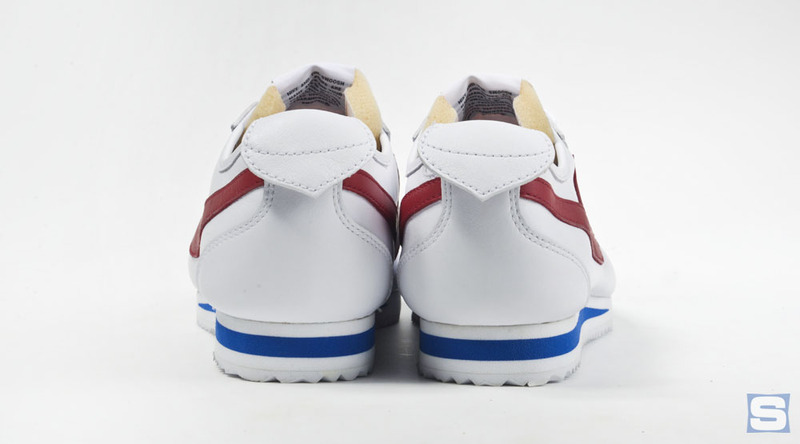 But, the shape most commonly seen in sneaker stores is actually a bastardization of the original Cortez. 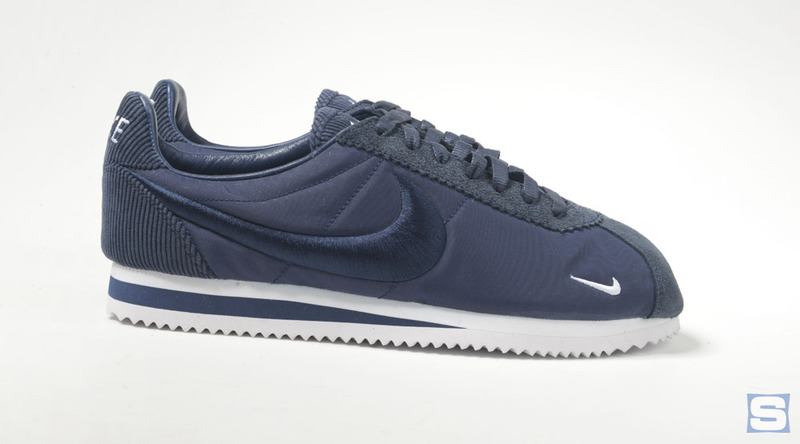 Nike is remedying that this fall with the NikeLab Cortez ‘72 re-issue, a sneaker that seeks to recreate the original, stitch for stitch. 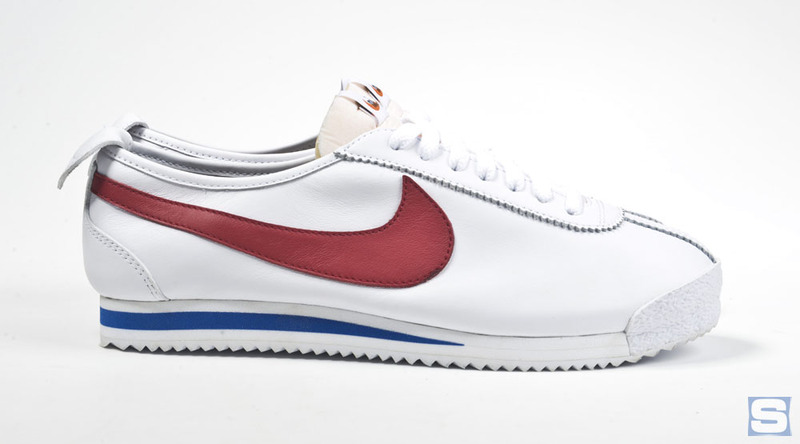 The long history of the Cortez starts back in 1966 when Nike was still Blue Ribbon Sports, a company helmed by Bill Bowerman and Phil Knight that was mostly a distributor for Onitsuka Tiger. Bowerman, the genius behind plenty of early Nike innovations, designed the shoe. The sneaker’s name itself was a reflection of the young Nike’s rebellious nature, and was meant as a jab at the old-guard of sneakers. As told by Kenny Moore in Bowerman and the Men of Oregon: The Story of Oregon's Legendary Coach and Nike's Cofounder, Bowerman and Knight originally wanted to call the sneaker the Aztec as a reference to the 1968 Olympics to be held in Mexico City. This was a tactic of adidas’ that Knight liked – naming shoes after Olympic host cities – but they had to cede the moniker because adidas already had the Azteca Gold. In a brainstorming session for the shoe, Bowerman decided the model should be aimed to crush the Azteca. “Who conquered the Aztecs? Who is that Spaniard responsible for 400 years of Montezuma’s revenge?” Moore recalls Bowerman asking. 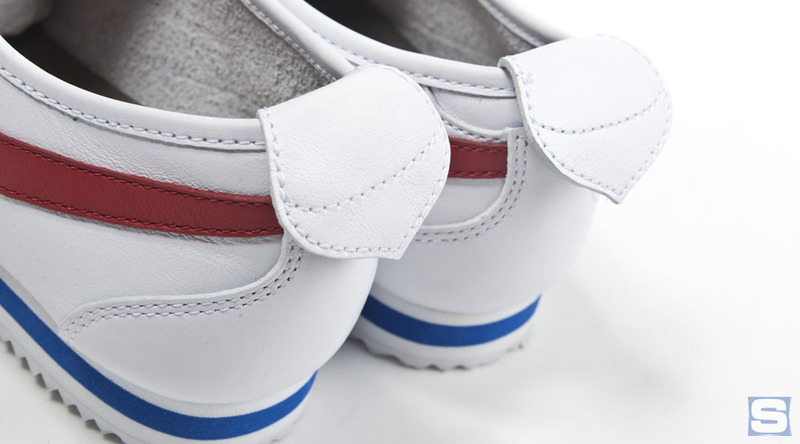 The Cortez was a hit for Onitsuka Tiger, and soon shifted to become one of the first Nike sneakers to hit the market as Blue Ribbon Sports transitioned to become its own company. 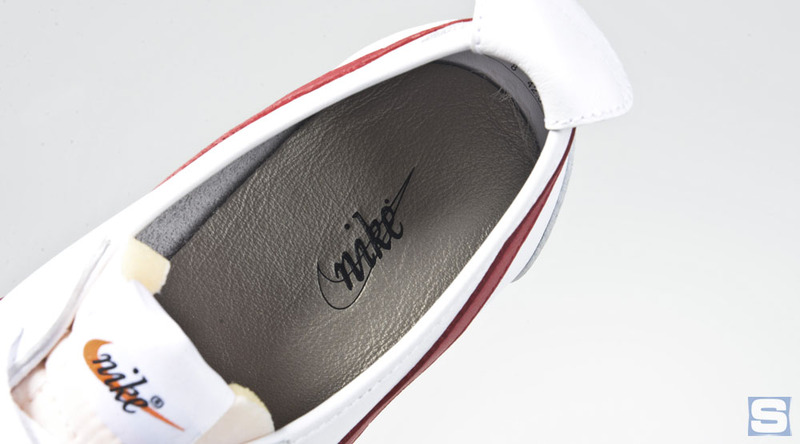 Moore, who put in around a thousand miles in the ‘60s wear-testing various versions of the shoe, says that the model was pivotal in that it, “made BRS a viable company.” Somewhere along the line BRS started producing its own Cortez. Onitsuka Tiger didn’t even know that Bowerman had wrestled back his design until a rep visiting a BRS warehouse stumbled across the sneakers, as recalled by Moore in Bowerman and the Men of Oregon. 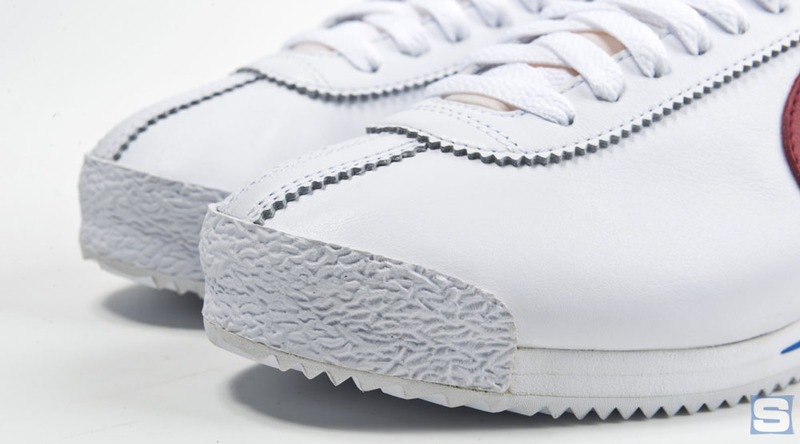 What made the sneaker so special was its cushioning, which featured a hard sponge rubber embedded in layers of softer sponge rubber. The combination provided a long distance-ready ride that earned quite the endorsement in an early BRS print ad, where it was reported that, “One of America’s leading marathoners says, ‘That’s the most comfortable running shoe ever.’” Cushioning was of paramount importance in that era, as the jogging boom was just beginning and the masses needed a shoe that could handle long runs on the road. 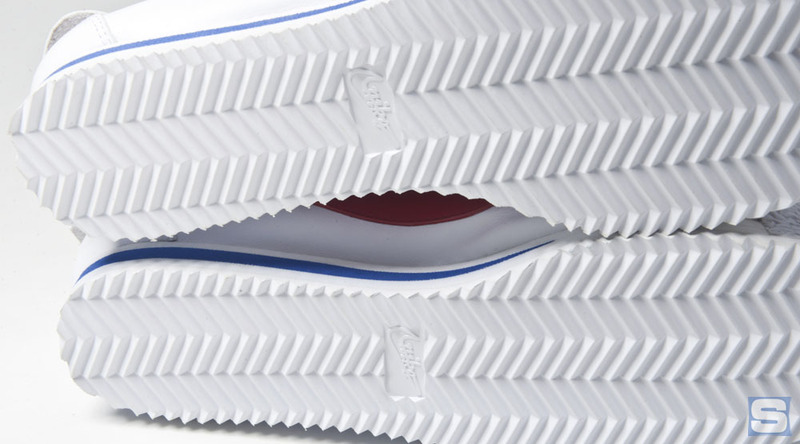 The Cortez satisfied that need with its thick sole. Almost as important as the feel of the cushioning was Bowerman’s decision to highlight the different densities in the midsole with a streak of color, an early sign of Nike’s keen eye for communicating shoe tech visually. 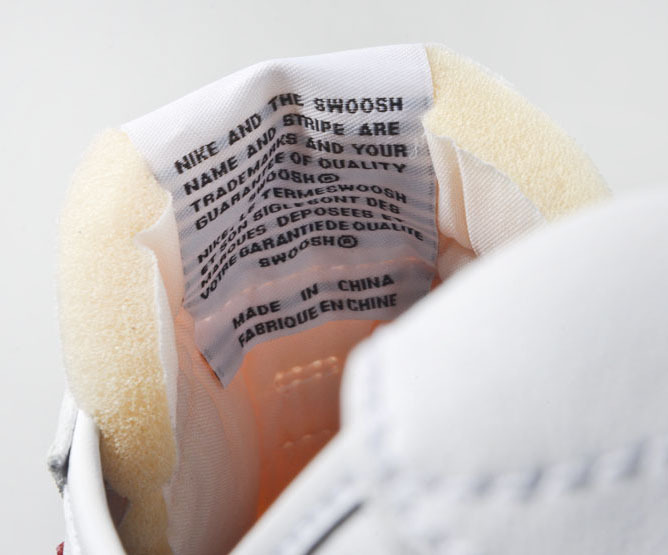 The dates surrounding the shoe’s debut at retail get a little fuzzy. 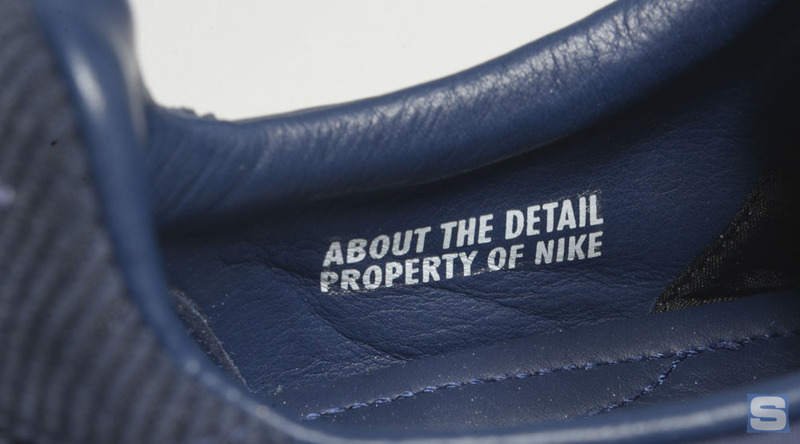 Nike’s official line on the shoe is that the Cortez debuted in 1972. This notion is supported by Moore, who mentions Nike’s first big push for sales coming at the 1972 National Sporting Goods Association show in Chicago, and Donald Katz in his book Just Do It, which pegs the 1972 Olympic trials in Eugene, Ore., as the brand’s debut for the public. 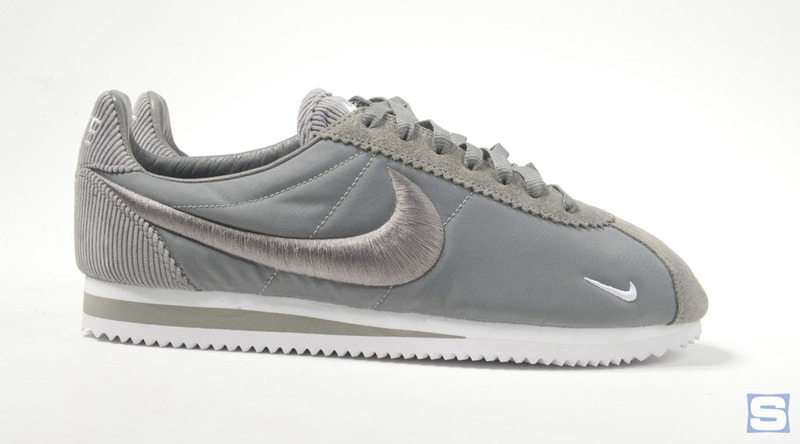 But Nike Chronicle, a stunning catalog that captures all sorts of vintage Nike gems, features a Cortez marked with 1971 as its production date. 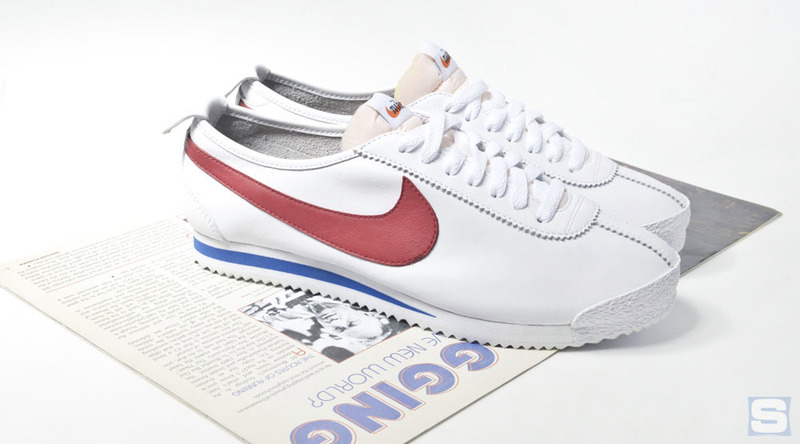 It’s possible that the shoe was just a sample, but the trademark registration for Nike’s Swoosh logo, which the Cortez was one of the first models to don, says that the logo was first used in commerce on June 18, 1971. A soccer/football design called “The Nike” is widely accepted as the first model to have used the Swoosh and did debut in ‘71, but the Cortez can't have been far behind. 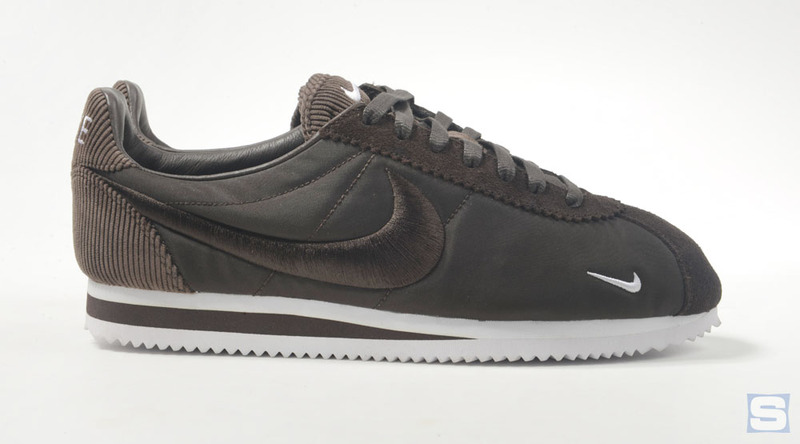 The strange '71 pair aside, the Cortez didn't really make its mark until '72. Onitsuka Tiger was none too happy about seeing Bowerman’s design take on a new life under the newly formed Nike company (BRS became Nike in ‘71) and started a legal battle over the design. 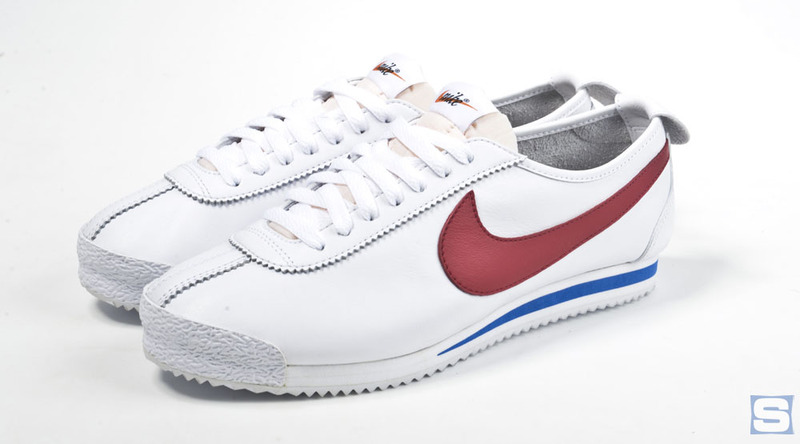 In the end, both companies were allowed to sell the shoe, although Nike emerged victorious as the one allowed to keep the Cortez name. One of the more amusing tidbits from the legal proceedings is that Onitsuka Tiger tried to claim that a German professor, and not Bowerman, had actually designed the Cortez. The professor refuted this claim in an affidavit taken by Nike lawyers. 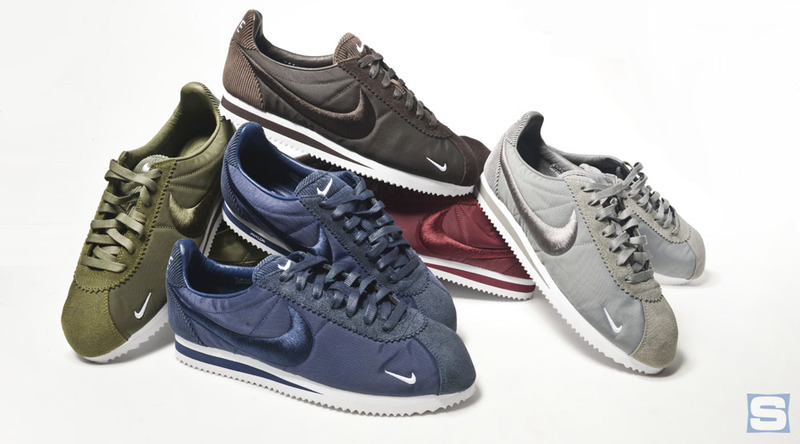 Even after the Cortez picked up the newborn Nike Swoosh its evolution was far from finished. Nike continued to tweak the model throughout the ‘70s, eventually changing out the leather upper for a lighter nylon material. 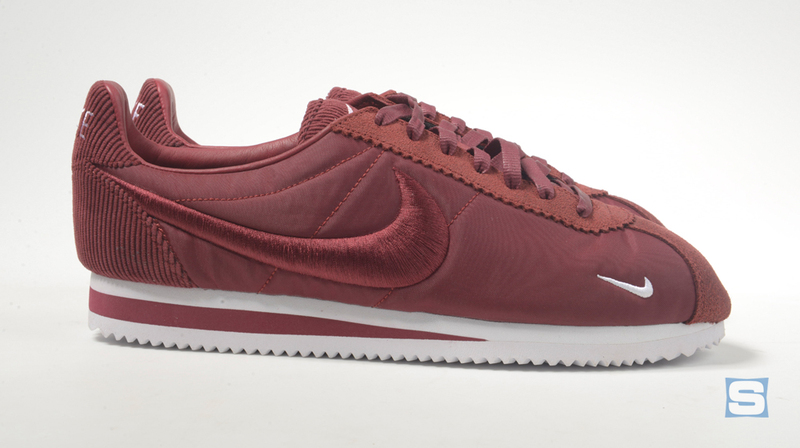 Some of the changes made tweaked the shape, resulting in the Cortez Leather Deluxe, a model that’s much closer to the usual Cortez build used for retro versions. The shoe’s reemergence this year was led by Darryl Matthews, a senior designer of special projects at Nike Sportswear. Matthews dipped into Nike’s archives and used modern tech to bring the sneaker back to life. While the upper’s proportions are in tune with the original thanks to the powers of 3D printing, slight modifications were made for comfort. Matthews played with the last to give the sneaker a more comfortable fit and also gave it some extra padding. 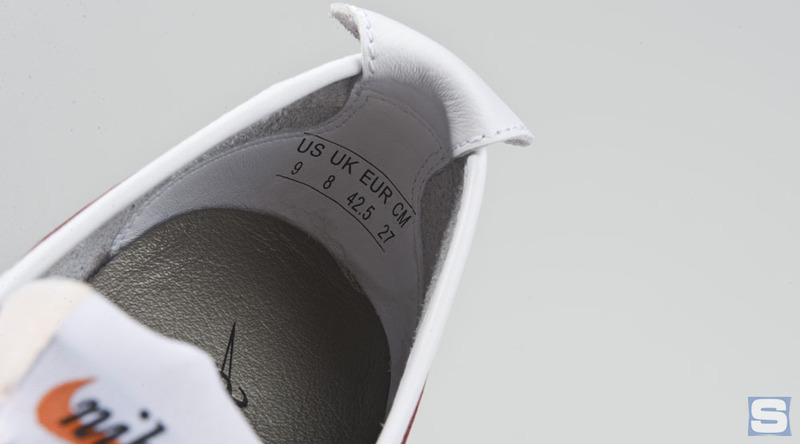 Special attention was paid to the material selection, with this NikeLab release wearing a buttery white leather that’s a few cuts above the standard. The approach here of getting back to basics and honoring original specs has been a common theme for Nike lately. Jordan Brand made the biggest splash by labeling its latest retro releases as “Remastered,” but Nike Sportswear has quietly had a similar approach without saying as much via releases like the Air Force 1 and the Vandal High. The Cortez ‘72 here feels very much in the same vein — a release geared toward a small set of consumers who can appreciate the almost superfluous attention to detail. 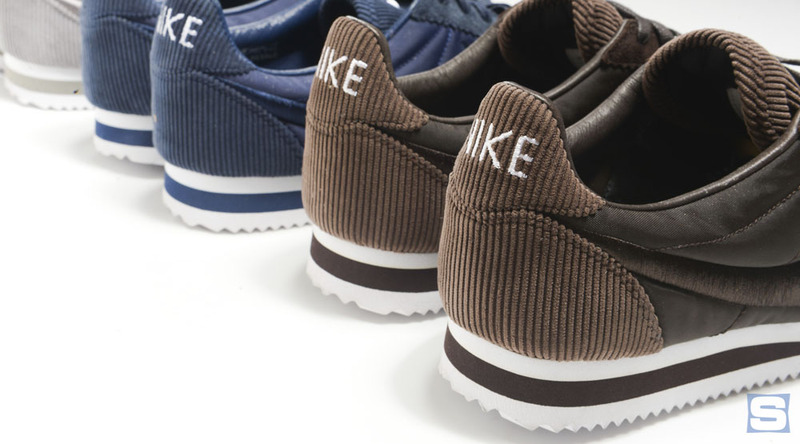 While the NikeLab Cortez ‘72 won’t release till Sep. 24, Nike will do its best to satisfy Cortez fans before then with the NikeLab Cortez Textil collection, also pictured below, on Sep. 3. This group features five colorful editions of the shoe donning oiled suede, corduroy, nylon uppers, and the elusive mini-Swoosh toward the toe. The build here isn’t purporting to be an OG one, but rather it picks up later on in the Cortez timeline. 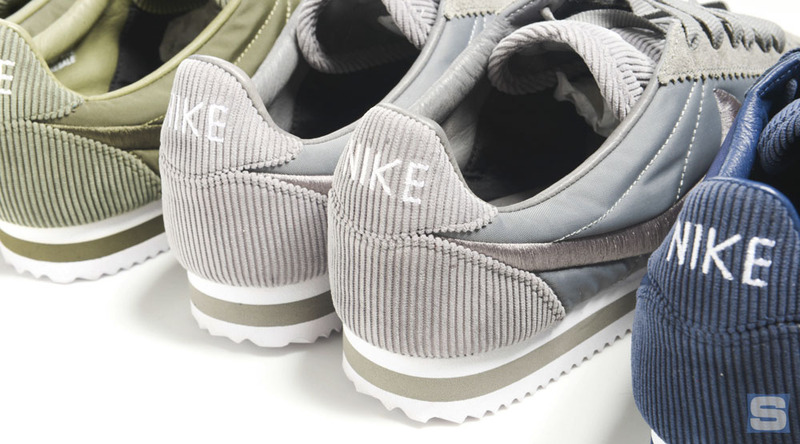 The silhouette is more inline with the Cortez of TV and movie fame, the shoe that so many connect with figures like Forrest Gump, George Costanza, and Eazy-E.
NikeLab Cortez Textile SP "Canyon Grey"
NikeLab Cortez Textile SP "Medium Olive"
NikeLab Cortez Textile SP "Obsidian"
NikeLab Cortez Textile SP "Team Red"
NikeLab Cortez Textile SP "Classic Brown"